I’ve only just thawed out from fishing in what were the worst conditions I’ve experienced for several years. The strong and gusty wind snapped my umbrella stem early in the match, after which I got progressively wetter and colder in the persistent rain, it wasn’t an enjoyable day! A similar fate met Jamie next door but we were only two of the nine that eventually gave up early. Those on the first few pegs were more fortunate, not only did they get regular bites, and fish, but they were sheltered from the worst of the wind and could at least make a decent presentation to the few willing fish. 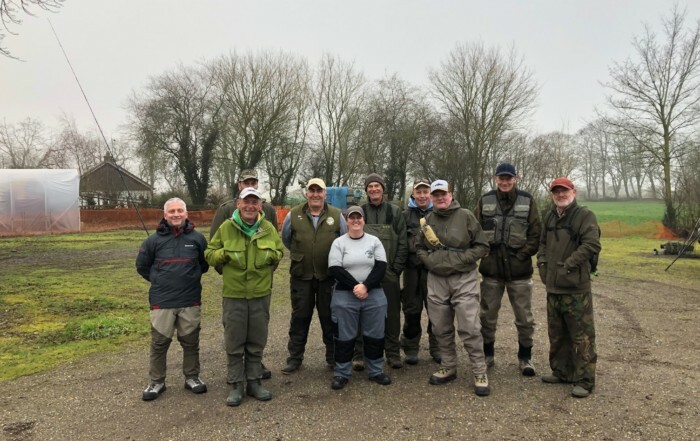 At the far end Mr Tinca had a lucky early fish, a 1 lb 6 oz perch, which sealed his victory in the overall championship and allowed even him to pack up early once he had been totally deserted by the preceding seven less hardy demoralised souls. Mike next to him also tried hard for that bonus fish and did manage more than most with 2 small perch for 1 oz (worth 8 points)! 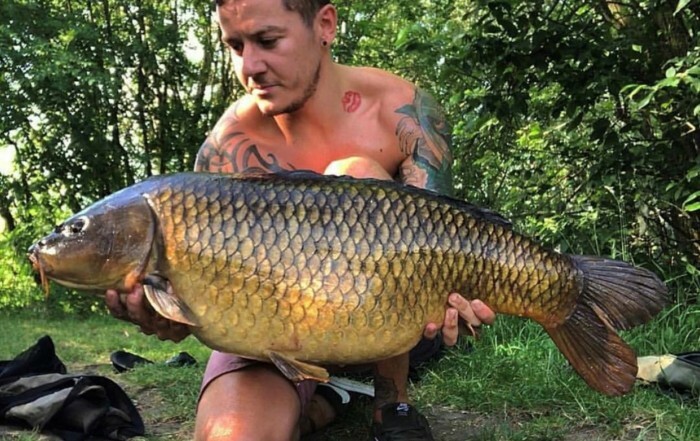 Dave Keedy capitalised on his lucky draw of peg 1 and his consistent whipping of half decent roach eventually caused even Jason on peg 3 to give in early. 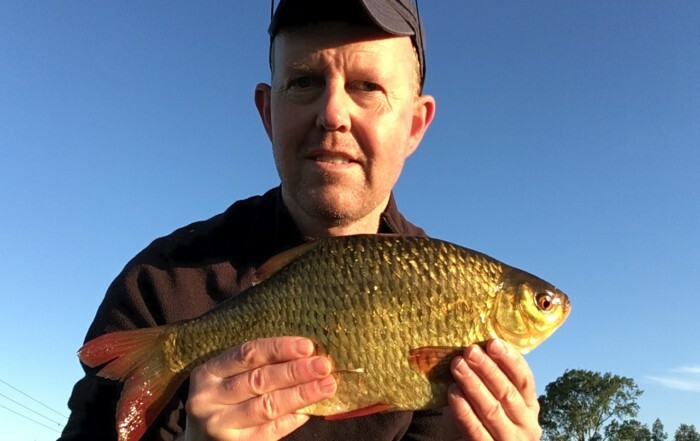 Ken on peg 2, who persisted to the end, resorted to hooking himself but all agreed that didn’t count and John on peg 4 was the last of us to catch more than a cold with a net full of tiny perch for 15 oz. Our next match, the first of the new season, is on 12th May and will be on a lake in Milton Park. Details will be circulated before hand but don’t let that stop you booking on early with Trevor, details as per the club book.